Bixby, the voice assistant built into Samsung Galaxy Note 9 phones, has partnered with Ticketmaster so users can find concerts or events they want to see by asking Bixby to help. And in other news on the voice-activation front, on Wednesday Dunkin’ Donuts announced the “integration” of its On-the-Go Mobile Ordering app with Amazon's Alexa, so caffeine lovers can have Alexa take their order and have their brew ready when they want it. But it seems that after locating information about an event the user is asking for, the Bixby voice assistant can’t go too much further. “One problem is that voice searches can get exhausting when it comes to the nitty-gritty details,” says a story on the Digital Music News site that questioned Bixby's impact. A Ticketmaster spokesman confirms a consumer would complete the transaction online. In time, though, the Bixby app might be able to learn preferences to make ticket shopping easier. 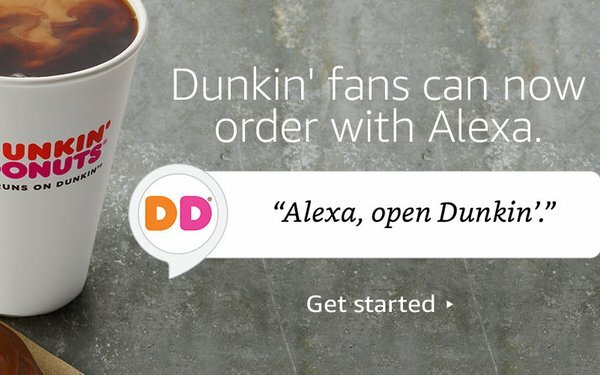 Likewise, at Dunkin’ Donuts, using Alexa doesn’t seem like a slam dunk. Customers with a DD Perks account link it to the Amazon account and then follow four steps to be able to order coffee, according to instructions. The fifth step, the instructions say, is for the customer to “speed past the line for pick-up!” But that might depend on how grumpy the other customers on line are. Consumers do seem reluctant to use voice assistants to actually buy things. A story earlier this month on The Information said only 2% of 50 million Alexa owners out there have ever used it to order something, and only about 100,000 have done so more than once. It seems that -- for now, at least -- consumers have concluded it’s easier to see goods online and compare prices and details, all of which seem to be steps beyond voice assistants’ ability. But marketers are still testing the skills of Alexa and her gang. According to Mobile Marketer, Denny’s, Starbucks and TGI Friday already are letting consumers use voice assistants to order. And a survey by data management firm Yext concludes that 61% of consumers were interested in using voice search to get directions to a restaurant, and 47% would use a voice assistant to get ratings or reviews. 1 comment about "Voice Assistants Can Get You Coffee And Buy Your Concert Tickets. Sorta". PJ Lehrer from NYU, August 31, 2018 at 3:27 p.m.